Sometimes professionals make mistakes or don’t perform their duties correctly, and often the consequences can be devastating. 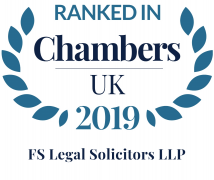 FS Legal’s nationally renowned professional negligence team is recognised by both Chambers & Partners and Legal 500 as being specialists in their field. We are routinely instructed to represent complex, multi-million-pound claims for high-profile individuals and corporations. Our team has unparalleled experience in this area and typically pursues multi-million pound claims against the whole range of professionals and their insurers. We have a unique and unrivalled expertise in the financial services sector acting for both the professional advisor industry and individual investors. We have successfully recovered millions of pounds for investors caught up in investment scams, failed tax schemes and high profile fund collapses. Our team lead cutting-edge and high profile litigation including reported cases which go on to change the case law in this country. In particular FS Legal acted in a £6M claim against tax advisers and accountants arising out of failed tax mitigation schemes which was one of the very first such cases to be brought before the Courts. The team has a national reputation in acting for investors in tax schemes such as the Eclipse Film Partnerships, Ingenious schemes, Big Screen Productions, Icebreaker, Scion schemes and other similar schemes. For more information please see our specialist Tax Negligence pages. Because professional negligence cases are intricate and require specialist knowledge, we offer a free, no obligation, and confidential advice service to all our new clients. We provide expert lawyers recommended and recognised as ‘Leading Individuals’ by Chambers & Partners who note the firm’s “pragmatic, practical and efficient approach“ and “determined litigators with a very good sector knowledge.” Legal 500 notes “FS Legal is a firm that punches well above its weight and is particularly strong in the areas of financial services, pensions and tax schemes” adding that the team has “a deservedly good reputation for providing a top-quality, commercial service“. We understand that, whether it’s a personal or business matter, funding is a key concern. We have a variety of funding options available to seek to remove the risk and cost from our clients. Unlike most firms, we are able to operate around 90% of our cases on a contingent basis.